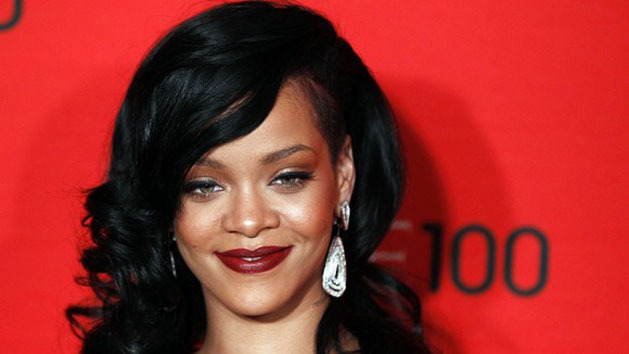 After her stunning rendition of Bob Marley and the Wailers‘ “Redemption Song” at a recent charity event, Rihanna is back in the firing line after a slightly pitchy performance of her own hit “We Found Love” at the Time 100 gala. Rihanna hit the red carpet in a bright fuschia dress, looking to stand out amongst the other members of TIME magazine’s 100 most influential people list. Not only there as a nominee, the pop star changed outfits and took to the stage for a performance — one that has bloggers talking already. Doing a stripped-back version of the dance hit, Rihanna started strong but started trying out tricks with her voice toward the end — likely in an attempt to prove to people that she can sing — and it didn’t go down all that well. The overall performance was actually a good one, but I guess people are always going to want to only point out the negative.